Content Objective: I can identify the main ideas from informational text and use them to create my own hyperlink poetry. Language Objective: I will identify the main ideas from A Spectrum of Environmental Ideologies and create a hyperlink poem that reflects on these ideas. Essential Question: What are the main ideas in A Spectrum of Environmental Ideologies and how can you use them to create hyperlink poetry? Content Objective: I can write short arguments using textual evidence. Language Objective: I will annotate and analyze informational texts and use textual evidence as well as my own experience to back up my claims. Essential Question: Where are you on the environmental spectrum and how is this observable in your opinions and actions? 1. Pick up your copy of Julia B. Corbett's A Spectrum of Environmental Ideologies from Ms. Floch. Content Objective: I can analyze and combine complex ideas and express them through poetry. Language Objective: I will identify and analyze my personal prototype and connect these ideas with my environment and create found poetry that reflects this connection. Essential Question: How can a combination of erasure and dadaist poetry reflect the connection between personal prototypes and environment? What was your process to complete this assignment? What were your struggles with this project? How did you overcome your struggles? How did you apply the elements of collaging and found poetry in your work? How does your work relate to the idea of the personal prototype and environment? Essential Question: How can a combination of erasure and dadaist poetry reflect the connection between personal prototypes and environment? What are the benefits of mixed media poetry? 4. Take a picture of your Erasure/dada mash-up with your ChromeBook's camera, insert it into a GoogleDoc and complete the reflection prompt, then upload your finished product and reflection to CANVAS. Essential Question: How can Erasure poems reflect the connection between personal prototypes and environment? 3. Choose which kind of Erasure you want to create in your book. Consider its theme, placement, and interaction with the text and pictures already in your book. 4. Reflection: Describe the process you used to create your Erasure. How did you decide on a theme/overall message, placement, and interaction with the rest of your book? What role does the page it is on play? How does your Erasure relate to the rest of the page that surrounds it? Essential Question: What is your personal prototype and how does environment play a role in it? 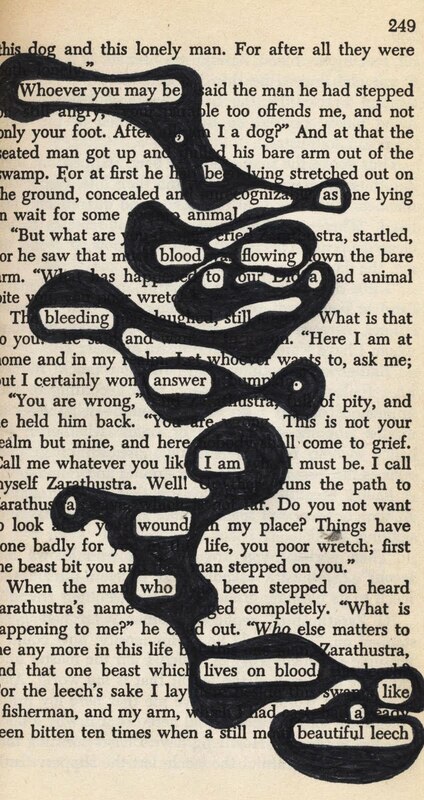 What is found poetry and how can it help you express complex ideas? 2. Continue from November 3: Cento Round 2: Copy/paste your poem below the original. You have 5 minutes to rearrange your lines however you want. Do not edit or delete any words. Copy/paste your previous version underneath the previous round. Take 5 minutes to erase any words you do not want to include. Take 5 minutes to add any words you want to add. How would you read this poem out loud? Which words/syllables would you stress? What kind of voice would you read this in? What were your main considerations in creating and editing your found poem? How much of yourself were you able to add to your cento? What is your personal prototype? Where do you see yourself going with this long term? What is the next step on this journey? How does environment play a role in your personal prototype? 4. 5-Minute Blitz Research: What is found poetry? Choose a line from the book on poetry in front of you by opening to a random page and pointing your finger to a line. Pass your book to the person to your right, take the book from the person to your left. Do not change the order of these lines in round 1. Your poem will have at least 20 lines. 6. Round 2: Copy/paste your poem below the original.